Having a mobile marketing campaign in place is something every business owner should have. The growing number of mobile users world-wide provides an almost endless supply of potential prospects and new leads. There are some main types of mobile marketing campaigns – SMS Marketing, Mobile Websites, QR Codes as well as Mobile Wallet Loyalty marketing. Each of these can be used independently but work well as part of an integrated campaign. In any highly competitive business, it’s important to give your existing customers incentive to continue using your product or services. Mobile Wallet Loyalty programs allow the business owner to provide coupons, discounts, news updates, stored valued cards or even digital business cards to the consumer directly to the lock-screen of their smartphone. Looking to reach consumers and entice them to visit your establishment? Couple the mobile wallet with proximity-based solutions and when a customer walks past the specific location, they are instantly sent a message that is relevant and engaging. These square codes and small programmable chips provide a seamless link between traditional and mobile advertising. 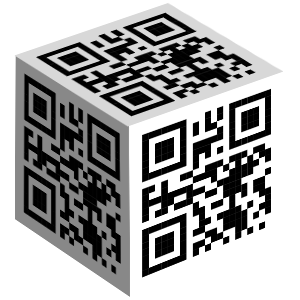 QR Codes are often printed on flyers, newspaper and magazine ads, business cards, posters etc. This gives your traditional media a techy and interactive feel. QR codes can also be posted on social media or included in emails to encourage more people to scan them. When QR Codes are scanned the user will be directed to specific content or encouraged to download a virtual business card or coupon. Often dubbed as the epicenter of any mobile marketing campaign, mobile websites allow the mobile focused consumer to stumble upon your business. Consumers are continually bombarded with promotions, deals, and marketing messages. That’s why it’s important for potential prospects have an exceptional user experience. A mobile website will have improved functionality, usability and quick loading times and mobile websites are optimized for viewing on the mobile platform.